It’s no secret that secrets of Star Wars must be kept secret, for fear of the secrets secreting and ruining everything (especially the secrets). But the secrecy around Star Wars has gotten even more extreme than you might realize. There are criminals in movies that get transferred between prisons that don’t have as much security as the secrets of Star Wars. Star Wars saga star Mark Hamill has been around since the beginning of the franchise, and it should come as no surprise that the secrecy surrounding these movies has changed drastically. In a recent interview, Mark Hamill talked about how many people he passed around the Star Wars script to simply because it was so weird. And now he can’t read it without somebody watching him until he’s done. So why are the script pages red? If you try to photocopy red script pages like that, they print out black, making it nearly impossible to easily make a quick copy of the script if you stumbled upon it somewhere. That doesn’t stop anyone from taking a high resolution photo with the phones we all carry around in our pockets. But first you’d have to get your hands on a script without someone looking over your shoulder. 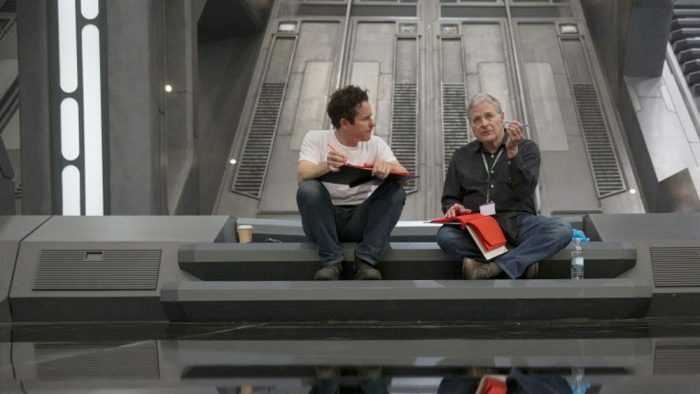 With J.J. Abrams back behind the camera, and this being the supposed last installment of the Skywalker saga, secrecy is probably more intense than ever. It only makes sense with how quickly information can spread and how easily it can be sent without much afterthrough. And that’s just fine with us, because we’d rather be surprised by what Abrams has in store for us. Star Wars: Episode 9 is expected in theaters on December 20, 2019, and hopefully we’ll get a trailer soon. The post ‘Star Wars Episode 9’ Secrecy is Like Being in the CIA, Says Mark Hamill appeared first on /Film.